1. F.Capra,The Tao of Physics,Bantam Books,Inc.,Toronto(1984). Publishing Company, Belmont, CA (1989). Society 1986 - 1996 (The Royal Society, London, 1986). of Chicago Press, Chicago (1970). 16. W.J.Broad, Science, 206, 534 (1979). Albert Einstein, Oxford Univ. Press, Oxford (1982). 38. R.W.Clark,EINSTEIN:THE LIFE AND TIMES,Avon Books,N.Y.(1984). 41. M.Wortman, Yale Alumni Magazine, April,34 (1989). 42. M.Rukeyser,Willard Gibbs,Ox Bow Press, Woodbridge, Conn.
49. F.Schmeidler,Sky & Telescope, 27(4),217(1964). 50. C.I.Jackson,Honor in Science,Sigma Xi,New Haven,CT(1986). Oxford University Press, Oxford (1971). 65. P.A.M.Dirac, Sci.Am. 208(5),45 (1963). 67. B.G.Wallace, Speculations Sci. Technol. 9,9 (1986). 68. J.G.Fox, Amer.J.Phys. 33,1 (1965). 69. W.B.Smith, Astron.J. 68,15 (1963). 70. L.Essen, Electronic & Wireless World, 94(1624),126(1988). 71. B.G.Wallace, Sci.Ethics 1(1),2 (1985). 72. I.Shapiro, Sci.Ethics 1(2),10 (1985). 73. P.G.Bergmann, Found.Phys. 1,17 (1970). 75. J.L.Bromberg, Physics Today, 41(10),26(1988). 77. NEWS NOTES,Sky & Telescope,77(5),464(1989). 78. W.Sweet, Physics Today, 41(10),73(1988). O.N.Rzhiga, A.F.Khasyanov, A.M.Shakhovskoi, Astron. Zh. 80. I.Goodwin, Physics Today, 41(9),97(1988). 81. G.C.McVittie, Astron.J. 75,287 (1970). 100.B.Parker, Sky & Telescope, 72(3),227(1986). 137.PHYSICS COMMUNITY, Physics Today, 45(1), 62 (1992). 138.B.Bower, Science News, 139, 394 (1991). 139.P.Davies, Sky & Telescope, 85(1), 4 (1993). 140.I.Newton, OPTICKS, Dover Publications,Inc., NY(1952),p.lxxii. 141.H.Kondo, Scien. Amer., 189(4), 91 (1953). 142.R.Fritzius, Physics Essays, 3(4), 371 (1990). 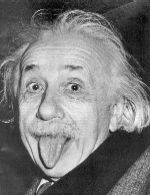 143.W.Ritz, A.Einstein, Phys. Z., 10, 323 (1909). 144.J.A.Wheeler,R.P.Feynman, Rev. Mod. Phys., 17, 157 (1945). 145.T.L.Gill, Hadronic J., 7, 1224 (1984). 146.S.Odenwald,R.T.Fienberg, Sky & Telescope, 85(2), 31 (1993). 147.A.Lightman,O.Gingerich, Science, 255, 690 (1992). 148.C.Raymo, Sky & Telescope, 84(4), 364 (1992). 149.A.Hobson, PHYSICS AND SOCIETY, 22(1), 15 (1993). 150.G.E.Brown,Jr., Science, 258, 200 (1992). 152.A.Robinson, Nature, 359, 104 (1992). 153.J.F.Ahearne, Physics Today, 41(9), 36 (1988). 154.J.Lankford, Sky & Telescope, 76(5), 482 (1988). 155.D.P.Hayes, Nature, 356, 739 (1992).